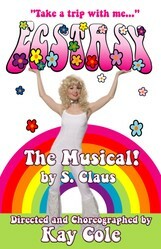 In 2009 I produced a musical I'd written and recorded and it played to appreciative crowds in Hollywood for 6 weeks. Find out what I learned in the process! I was just out of high school when I had The Dream. I don't mean I had a grandiose idea; I mean, I literally woke up from a vivid dream that changed my life. I had a dream about a musical project, even though I wasn't a "musical" person at the time and I probably still am not one. I never forgot about this dream and it became an obsession over the years. Through college and into my working years I poked and prodded at this musical story, worked on it, put it away, took it out and examined it again. Through a long series of events both fortunate and not-quite-so-fortunate, in 2008 I found myself in a position to be able to finally bring my project to life as a full-fledged musical theater piece that could be presented to a paying audience. Yes, I was rather excited, and nervous too! Through MORE events both fortunate and not-quite-so-fortunate my show came to life and was well received by enthusiastic audiences. Although the experience left me exhausted and hardly made me a millionaire (quite the opposite, in fact) I was able and eager to do another musical theater piece a couple years later. These experiences taught me some things about projects of this kind...if you've ever considered putting on your own musical/showcase or are just curious to know what I learned, read on! I think it's easy to get over-eager about anything but particularly a "dream project," be it a musical, a written piece or even a small drawing, it all ends up being personal. You envision how it's going to be and what life will be like with your project "alive" in the world. It can be tough sometimes to sit back and take a critical look at your work to make sure it's ready to be foisted on the world. I toiled on my project for over 20 years on and off in various ways and yet after the first official read through I wanted to go home and flush my head down the toilet in shame; it was NOT ready, and I had already invested in it. Truth be told, had I waited for my project to be ready it would never have happened so I just went for it, knowing it might not work out. Luckily we MADE it work and it became something I am really proud of, but it taught me a lesson or two: one or two or even SIX more re-writes might have really helped! I learned this the hard way over the years, and then I learned more from a friend who had just finished a theater project right before I produced mine. Her first suggestion to me was not to try to do everything, as that had affected the experience for her and her husband; they were too exhausted to enjoy the experience because they ran the show every night! Key to the success of my show with audiences was that they felt confident they were in the hands of talented, confident people (I know, because they'd tell me, after!). I lucked out in some ways but part of it was good planning: since I didn't intend to do everything myself I hired someone who was a professional producer. She helped me figure out a budget, she knew what things cost and what things would come up. She knew how to find and acquire talented people, including my brilliant director/friend, Broadway legend Kay Cole, and had the respect of someone with business and talent savvy to ATTRACT people who were high quality. Meanwhile I sat and watched in amazement! Beyond just theatrical productions I think you get what you "pay" for--if you try to bluff your way through something it will end up being an obvious bluff and people will see through it. Quality shows, and comes at a price. I was incredibly fortunate to get "quality" for my project even on a micro-budget...and it showed, night after night! OK, this is a tough one. If you can find someone to front you money for ANYTHING in this day and age my baseball cap is off to you in respect. I know that people can secure funds this way--grants, favors, even Kickstarter, and I probably should have spent more time trying to make that work, but in the end I felt it would be best to just pay for the whole thing myself...I just wanted people to SEE my show, more than anything. I also felt it was the only way I'd be able to keep creative control of my project and make sure it was done the way I wanted. In the end I lost money and WISH it had been someone else's burden, but I wouldn't trade the experience for anything...I just might have done some things differently now than I'd done then. Theater, like everything else in the world, is a collaborative affair; no creative endeavor I've ever approached is done completely in isolation (or if it is--who knows or cares about it?). As such I found my vision being shaped by the performers, crew people, director, producer and even the ticket-taker on my show. Sometimes the suggestions offered were genius, sometimes they were so bad it was laughable--often it would just be a pain in the neck to have to field all the comments. But it made things clear to me: no one person ever wields complete power in a project involving lots of people...and that's probably a really good thing! Through a series of events more complicated than I'll go into here my show ended up getting audited by the I.R.S. This meant I had to compile the entire financial history of the show into a 350-page notebook. Because I'd run my show as an official business, and because the "business" had lost money, I was able to recover some of the expense. This idea of running a show as a business happens a lot in Hollywood, by the way, something the original auditor I had on the east coast apparently either couldn't or wouldn't understand. In the end I "won" the audit and didn't have to give anything back but for two tense years I sat examining my my bookkeeping and receipts, double and triple checking and re-submitting everything in fear that I'd have to give Uncle Sam a hefty sum of money back. I think I did a pretty good job, but I think I'd do it better next time! In general, any self-produced work (which, of course, can include books and articles!) is most likely going to be enjoyed primarily by friends, family and acquaintances. There are rare instances when things go "viral" for no obvious reason at all, but for the rest of us "mere mortals," chances are your project is unlikely to make much noise. Someone told me recently that the odds of getting your screenplay turned into a movie in Hollywood are slimmer than winning the lottery, (and the odds for performers are similar). And yet, people with dreams keep pouring into the Hollywood, year after year! I didn't have any illusions about my project--as with anything I work on, including the big budget Hollywood films I've animated on, I hope the experience will be good and I hope the project will touch someone's life, somewhere, and you don’t give any less of yourself just because you don't think the project will be the next blockbuster. If anything more comes of it, great! Bonus! My show was "successful" in that everyone who worked on it had a great time and gave more than 100% to it (if that's possible), and night after night I watched audiences leap to their feet with joy and applause; it "worked," there was no question! Night after night I watched my dream "vision" from so many years earlier come to life in front of me, entertaining audiences, and, however briefly, I got to live in a kind of paradise where all that mattered was "art." I made friends, new connections...I inspired other people to risk doing their own projects. I employed some artisans, however little I actually paid them, and I gave performers something to perform in. I've been told I brought a lot of joy to those who saw my show, even the ones that WEREN'T friends and family. One of the best "compliments" I got was from a stranger I met randomly at an event--we got on the topic of my show and he said he'd actually seen it and loved it, had even bought the soundtrack CD and had been looking all over the internet for information about when it was going to play again! At times like that you look around and realize that hard work and risk CAN pay off now and then, in unexpected ways, and when it happens it makes everything worthwhile. I was really happy with my show "Ecstasy" but the experience left me wishing there were certain things I could have done differently; as a result I created and produced another show, "Sin," two years later. This time I spent less money and worked hard on creating something that was tight, edgy, smaller in scope with wider appeal and a strong story. We only performed it once but it was clear the show worked well and I look forward to seeing where the show can go next. But I was glad I kept going, and KEEP going; you learn by doing, not by speculating! Despite the fact that I didn't know much about theater or theater people, wasn't rich and wasn't really all that brave, I somehow managed to produce a juggernaut of a show with 15 songs, 12 performers, dozens of wigs, costumes and technical details into something that made a lot of people happy. It taught me, above all else, you can do ANYTHING if you set your mind to it; it takes determination and perhaps a bit of naiveté...but you can do it if you WANT to. So what are you waiting for? Have you got a project in mind, musical or otherwise? What's stopping you? Good luck! Bows For My Musical "Ecstasy"
What an awesome project! Great tips for any big project, too, in addition to musical theater.